What do you get when you combine books, students, writing and a National contest? You get hope – hope for the future, hope for the country, hope and the knowledge that we are all in good hands with the next generation. 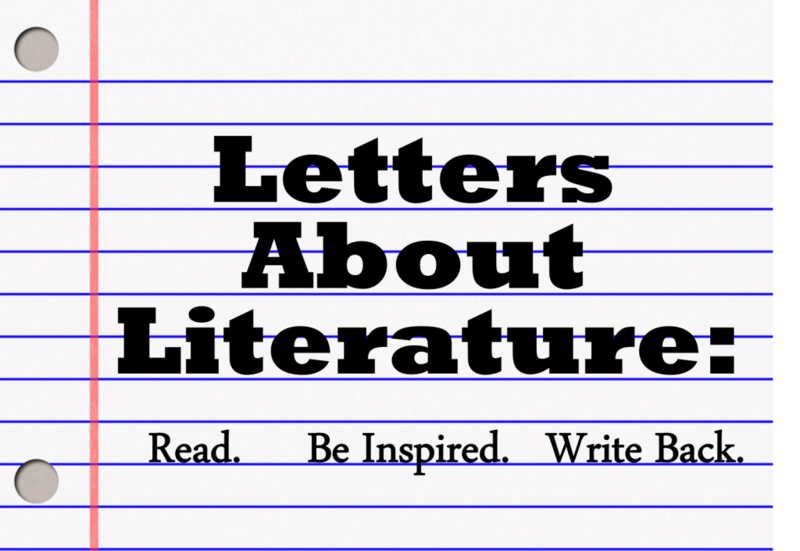 Washington state has participated in the Letters About Literature contest (LAL) since 2005 and it impacts everyone who has touched it. What makes it so great is, simply put, the letters. Unlike the familiar book report we all remember from our school days, LAL asks students to write to an author, living or dead, about how a book changed their view of the world or themselves? On the surface the question seems simple but the results are phenomenal. Every year we receive letters that are funny, revealing, deep, philosophical, and heartbreaking (sometimes all in one letter!). As a coordinator for the contest, I am mainly on the sidelines; answering questions, tracking down missing packages, wrangling permission slips, “how do you pronounce this student’s name?” etc. But I also get to hear things like, “I can’t tell you how excited the girls were when they heard they were semi-finalists. I literally heard squeals and saw jumping up and down when they ran over to their classmates in the hallway!” Nice work if you can get it! LAL is a national contest so all the letters start by being sent to the Library of Congress in that “other Washington.” After two rounds of judging, the semi-finalist letters are returned to their home states. Right now we are in the thick of it because the 2018 top letters were recently returned to us. How many letters were written this year? In total 2,418 Washington students wrote letters. 1,132 were from grades 4-6, 856 from grades 7-8, and 430 from grades 9-12. That’s a lot of letters! From there 93 total letters were returned to us and are in the final round of judging. This year’s winners have not yet been chosen but if you want to experience that amazing sense of hope I recommend taking a few minutes to read last year’s winning letters. The Level 1 winner wrote her letter to Laura Ingalls Wilder about her book Little House on the Prairie. The Level 2 winner wrote her letter to John Green about his book Looking for Alaska, and the Level 3 winner wrote her letter to Rudolfo Anaya about his book Bless Me, Ultima. I guarantee after reading them you will be hungry for more letters from our talented Washington students. We will be announcing the 2018 LAL winners in April so come back, but you might want to have a handkerchief by your side.